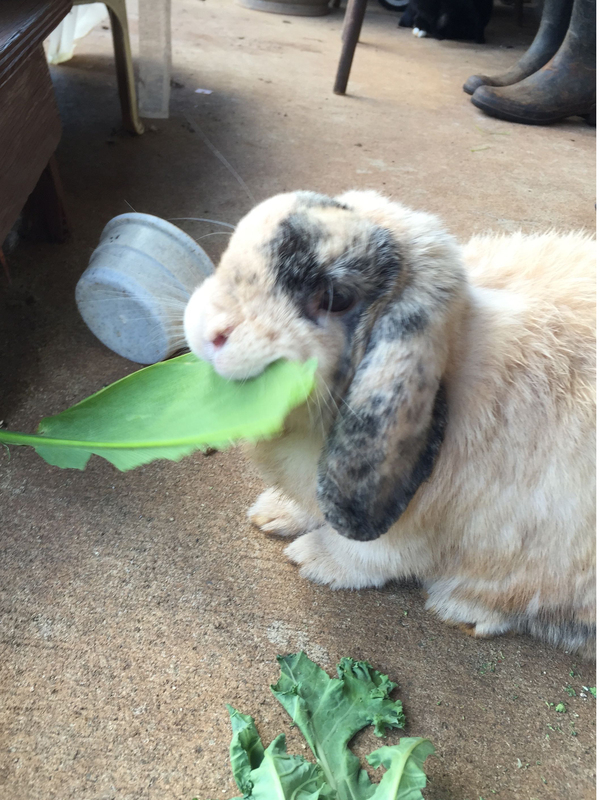 That awkward moment: Just when you take a big bite out of your food, someone takes your picture! 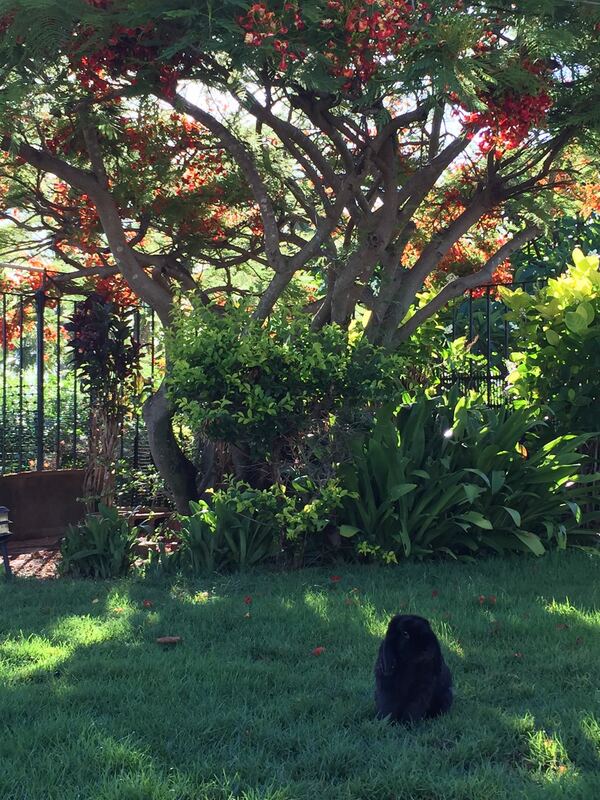 Mopsie, sitting in front of the Royal Poinciana tree that is about to go into full bloom. 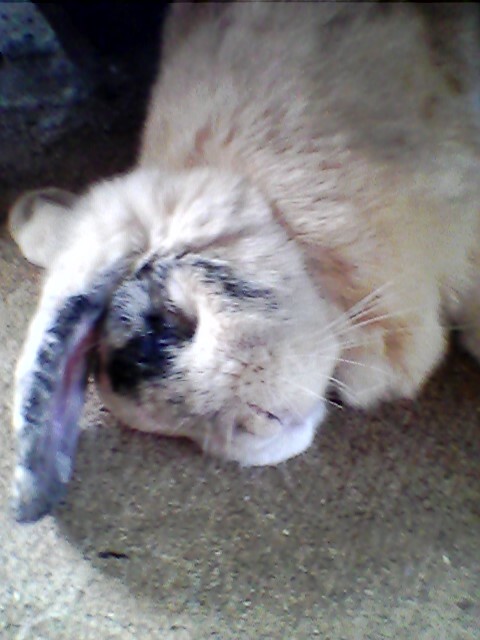 What do rabbits do all day besides eat and sleep? 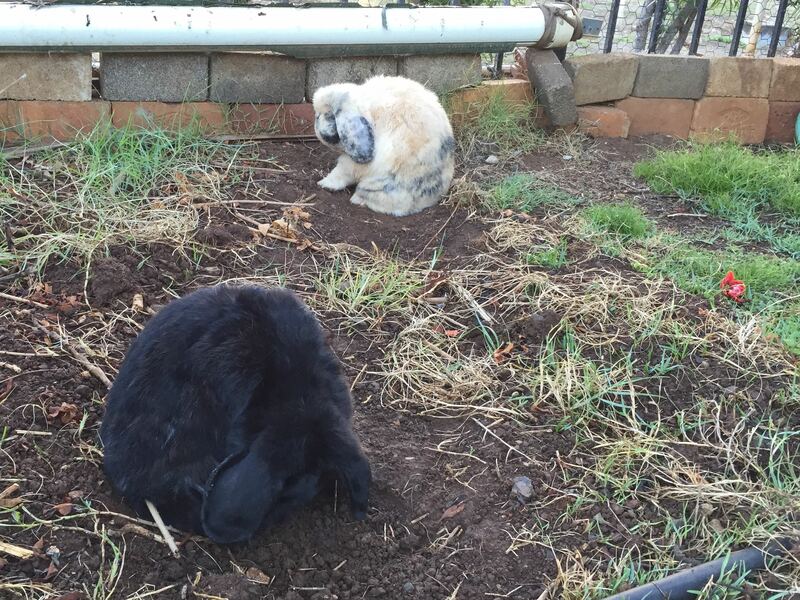 They spend a lot of time grooming themselves, just like cats. When it’s 90 degrees outside, you just want to take a nap on the lanai!